Denim has been around for as long as I can remember, it is the one thing that will never go out of style. 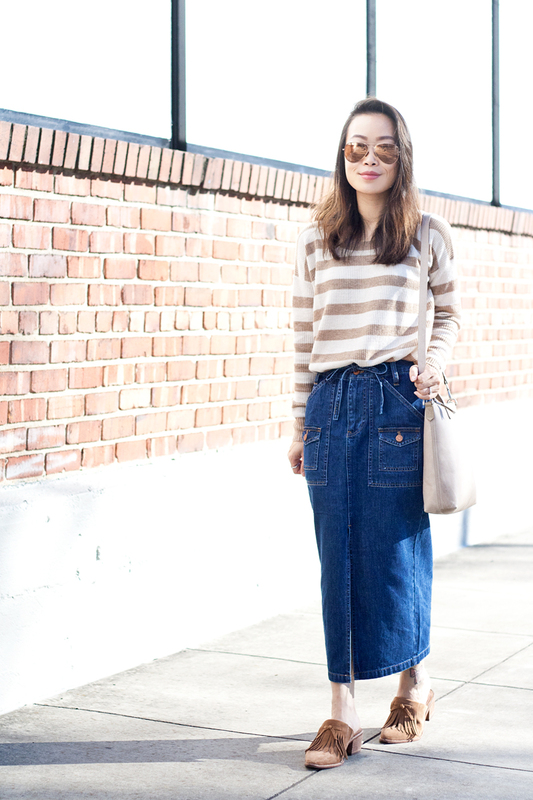 Denim also comes in many forms and Madewell's got them all! 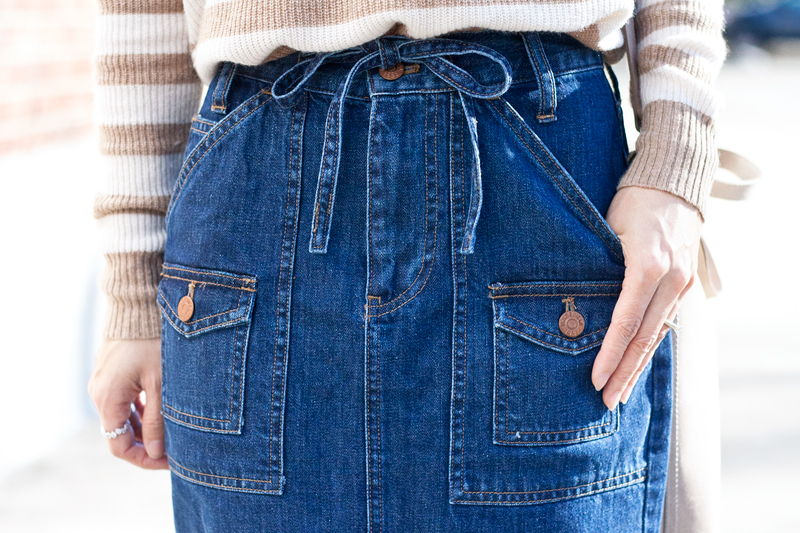 From jeans to overalls, from skirts to dresses... Madewell Spring denim (120+ new styles) just launched and I am especially fond of the Denim Timeline Skirt. 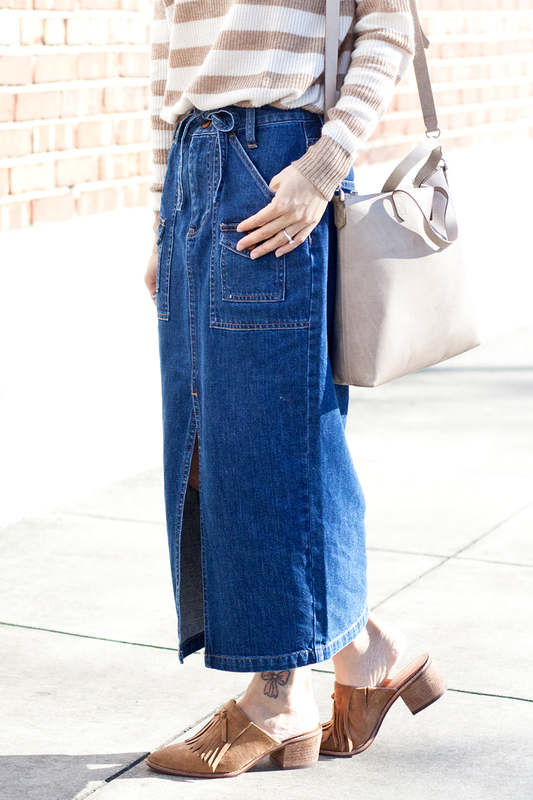 Slim, midi length (lengthier on me since I am petite) denim skirt with a high front slit, drawstring waist and clever coin pockets! 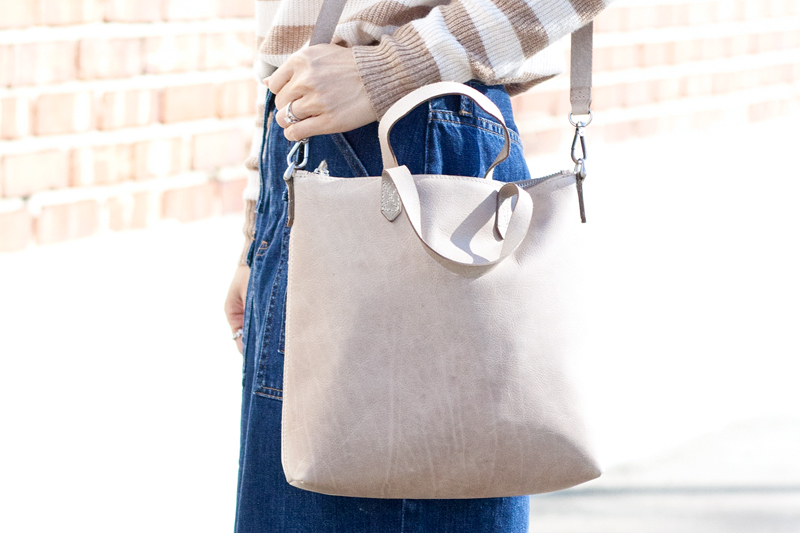 I styled it with a head-to-toe Madewell look... stripe knit pullover, leather mini crossbody, and these incredible suede fringed mules which I am so in love with! 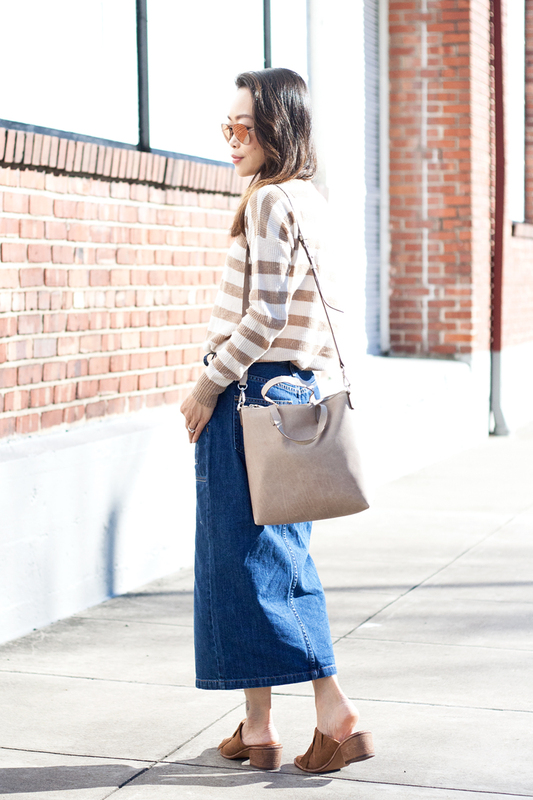 Denim rules to dress by? I say there are no rules when it comes to denim! 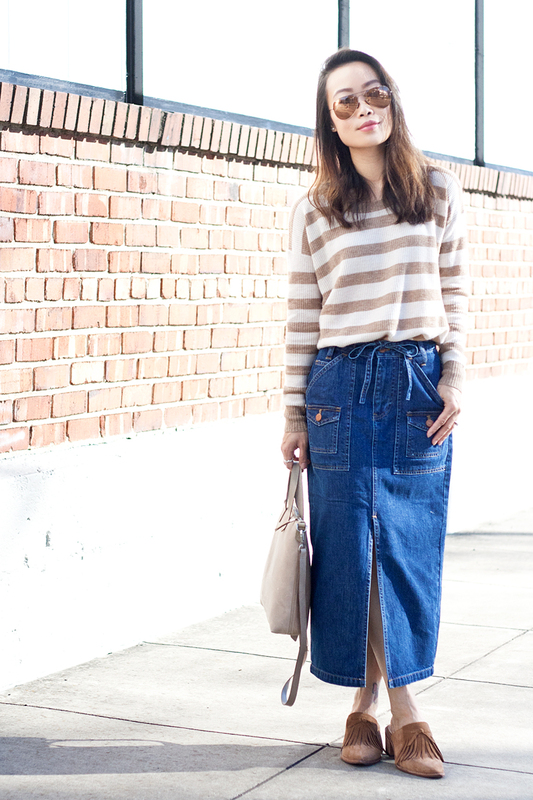 Denim timeline skirt c/o Madewell. 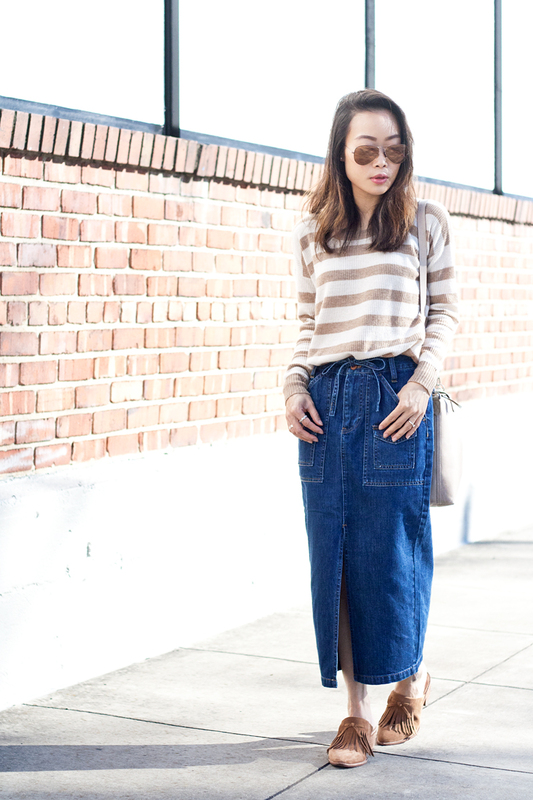 Warmlight pullover sweater in stripes c/o Madewell. 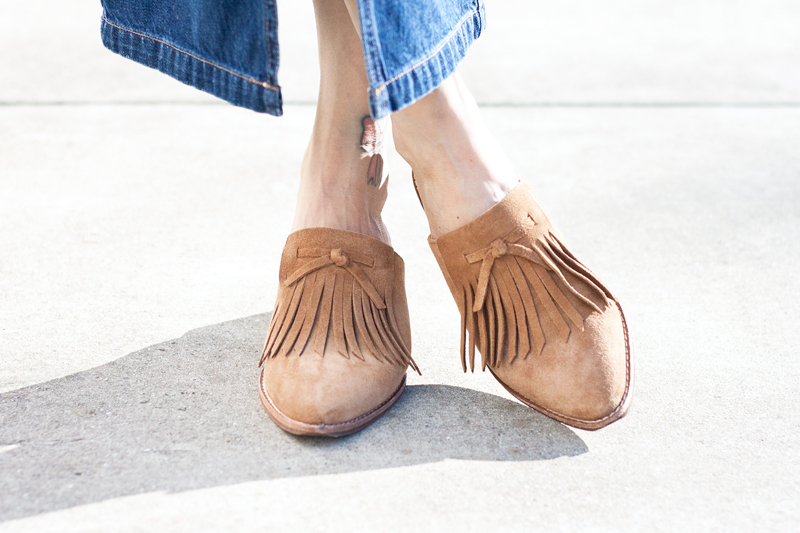 Dani fringed mules c/o Madewell. 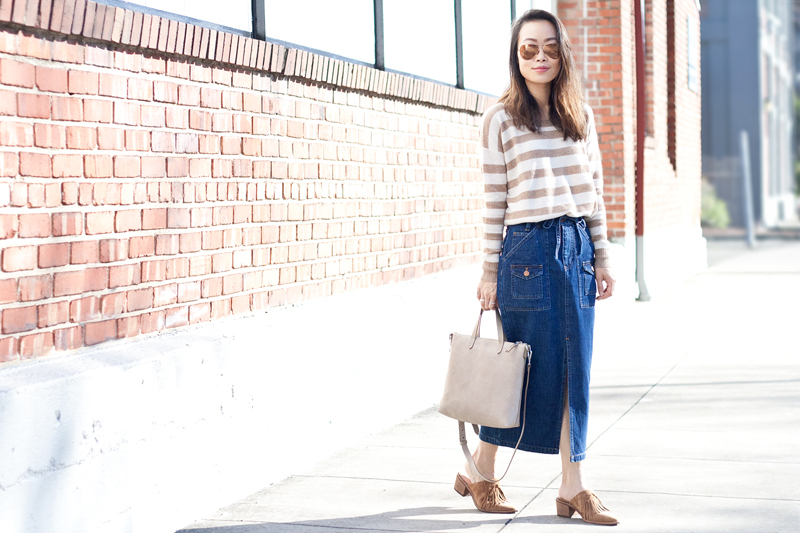 Mini transport crossbody in dried flax c/o Madewell. 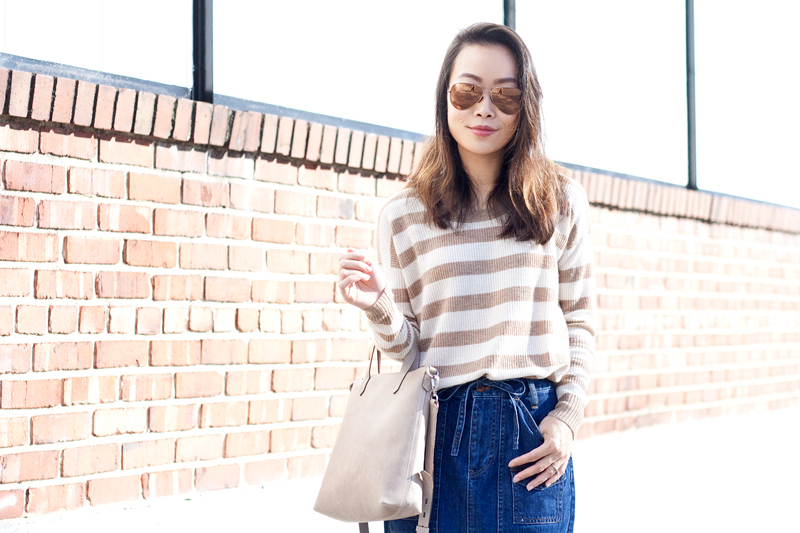 Rose gold aviator from Old Navy.